When University of California President Janet Napolitano launched the Global Food Initiative (GFI) in 2014, one of her first calls was to the university’s Division of Agriculture and Natural Resources (UC ANR). 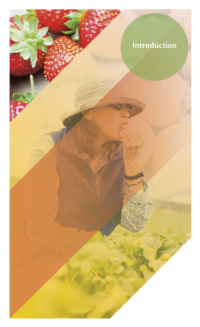 It’s easy to see why: with broad expertise in agriculture, natural resources, nutrition, youth development, and other areas using a variety of scientific disciplines, UC ANR has long led the charge to deliver healthful, sustainable food systems to Californians. Today a billion people suffer from chronic hunger or nutritional deficiencies. With global population projected to reach 8 billion by 2025, the GFI is responding to nutritional inequities worldwide. As a public university, UC is dedicated to responding to societal problems and human needs, none of which is more pressing than feeding the world sustainably and nutritiously. The GFI encourages development of crop varieties capable of withstanding flood, drought and soil variations, while fostering innovation and advancements in the livestock, poultry, dairy and aquaculture fields. Hunger underlies much of the world’s discontent. The GFI’s focus on improving international food production can help strengthen American security by bringing stability to other parts of the globe. As the UC Global Food Initiative advances, we seek to find common ground to help communities in California and around the world find their way to a sustainable food future. UC Cooperative Extension academics have widely varying expertise in the areas of agriculture, nutrition, consumer sciences and natural resources. Find an expert.